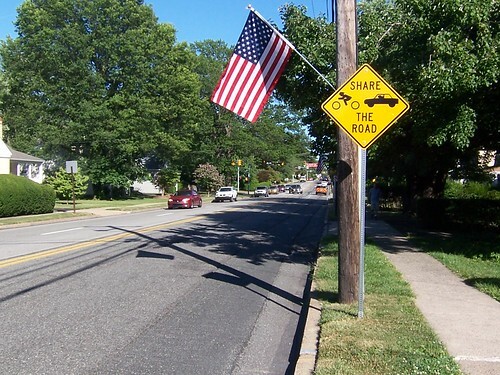 The Susquehanna Road bike route is nearing completion and we now have a good look at the results in Abington and Lower Dublin Townships. As we have reported here and here this project is part of an initiative began in 1998. DVRPC worked with Delaware, Chester and Montgomery Counties to develop one critical on road bikeway corridor in each county. Nearly a half million dollars in Congestion Mitigation Air Quality funds were allocated to complete the three segments. 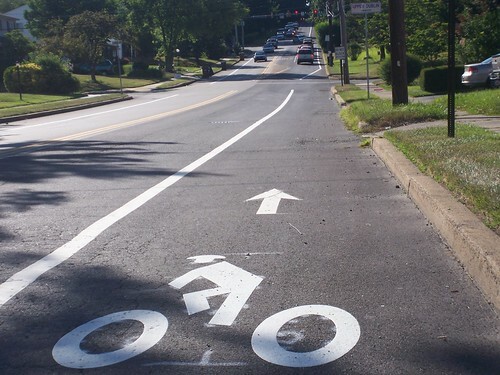 As of early July the bike lane stenciling and striping was completed east of Fitzwatertown Rd but largely incomplete to the west. What we found east of Fitzwatertown offers some cause for concern. 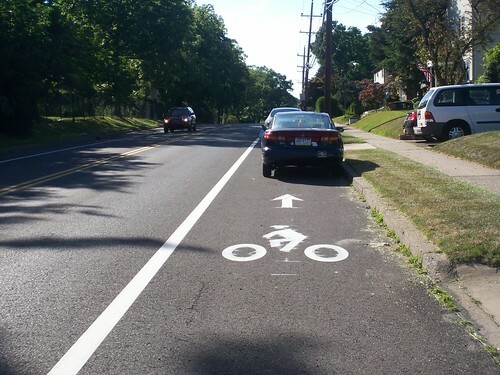 Parking in the bike lane is already a problem in Abington across from Hillside Cemetery. The before and after shots confirm that people were already parking before the striping was added and perhaps the striping is encouraging more cars parking there. East of Hillside the bike lane disappears with only the occasional Share the Road sign. This section near Abington Senior High School has two lanes going westbound and one eastbound, one has to wonder why a lane reduction didn't happen here. Was it local opposition? 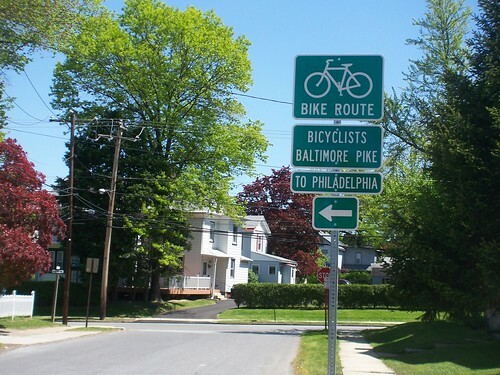 Navigational signage similar to Bicyclists Baltimore Pike in Delaware County has not been installed, we hope that this will be an element of the completed project. Our support for the concept of the project is absolute, but as always the devil is in the (design) details. And we believe that working with PENNDOT and Montgomery County on small fixes can make this corridor a viable bikeway artery.